I have just recently came across a Mayan prophecy related to the 2012 phenomenon, which rather startlingly, appears to link the end of the cycle of 13 baktuns in the Long Count Calendar (which finishes at 21st December 2012) with the Second Coming of Christ and a massive flood that will bring about the end of the world. This is a rather striking parallel to the hypothesis I forward in my book Unveiling the Apocalypse, concerning the Second Coming and its relation to the future mega-tsunami event caused by the collapse of the volcano Cumbre Vieja on La Palma in the Canary Islands. The prophecy is found in the Chilam Balam - a syncreticistic text (in a similar vein to the Sibylline Oracles), compiled between the 17th-18th centuries, consisting of Christian reinterpretations of much older Mayan prophecies. It mentions prophecies about the coming of the Spaniards and the new religion of Christianity, which rapidly spread amongst the native peoples due to the miraculous intervention of Our Lady of Guadeloupe. Jesus Christ shall descend over the valley of Jehoshaphat beside the town of Jerusalem where he redeemed us with his holy blood. He shall descend on a great cloud to bear true testimony that he was once obliged to suffer, stretched out on a cross of wood. the bad, the conquerors and the captives. The first thing we should consider here is the timing of the Second Coming mentioned in this prophecy. On an initial reading, it seems that the text states that the Parousia will occur after a future deluge comes to destroy the world. But the chronology of this prophecy depends on how we interpret the clause "when this is over". As we have already noted, on a cursory glance it seems that this clause refers to the world-destroying flood, which would place the Second Coming after the world has already ended - which obviously doesn't make much sense, since there would be no one living to witness it. It thus seems more logical to read the clause "when this is over" as applying to the end of the "law of the katun" - which should be equated with the completion of the 13th baktun. This would give it the more sensible meaning of "when [the law of the katun] is over, then our Lord Jesus Christ shall descend over the valley of Jehoshaphat..."
(on) Four Ajaw, the Third of Uniiw (K’ank’in). The first question this prompts is, "Who is Bolon-Yokte?" Bolon Yokte is the God of Nine Strides, (or the God of Numerous Strides, since Bolon, which means "nine" is often used as "many"). Sometimes referred to as B'olon Yookte' K'u, or B'olon Okte' K'uh, where K'uh means deity, he has also been called Ah Bolon Yocte of Nine Paths in the post-conquest books of Chilam Balam. The god has an association with the underworld, conflict and war, dangerous transition times, social unrest, eclipses and natural disasters like Earthquakes. He appears at the end of baktuns, assisted at the Creation of the current world and will be present at the next Creation in 2012. Other translations of the name are God of Nine Steps; the Nine-Footed God; and Jaguar-Foot-Tree, because the word bolon or balan (nine) was used by the Maya as a pun for balam (jaguar). The god was seen alternatively as nine individuals or as a collective god. its burden was bound to it. Then the water descended, it came from the heart of the sky for the baptism of the House of Nine Bushes. With it descended Bolon Mayel; sweet was his mouth and the tip of his tongue. Here we are told of the descent of this same nine-faceted god at the end of a fixed time period, under the slightly different name "Bolon Mayel", and we are told that water descends with him "for the baptism of the House of Nine Bushes". This prophecy recalls similar imagery depicted in the last page of the Dresdin codex (shown in the image at the top of this post), which contains an illustration of a serpent-like creature issuing flood-waters from its mouth (it is worth noting that this also recalls Rev 12:15: "The serpent poured water like a river out of his mouth after the woman, to sweep her away with a flood"). Many 2012 commentators believe that the last page of the Dresdin codex depicts the events expected at the end of the 13th baktun in the Mayan calendar. As regular readers of this blog will know, the above prophecies sounds remarkably similar to the hypothesis I forward in my book Unveiling the Apocalypse - namely that the events that are predicted in the Bible to accompany the Parousia of Christ include the greatest earthquake known in human history, which in turn is also associated with a volcanic collapse that will result in a cataclysmic flood. In my book, I argue that the eschatological earthquake that is foretold to take place at the Second Coming will start a chain reaction of geophysical events which will include the eruption of the volcano Cumbre Vieja on La Palma in the Canary Islands. Many geophysicists believe a huge section of this island could collapse into the Atlantic Ocean during its next eruption, producing a mega-tsunami which will devastate the eastern seaboard of the Americas, completely decimating the various islands, coasts and cities that lie within its projected radius. I then go on to show that these passages are intimately related to various other portions of the Bible associated with the Second Coming of Christ, and the eschatological earthquake that is foretold to accompany this momentous event - which is variously referred to as the melting or casting down of mountains. It is also modelled after the events of the Exodus and theophany at Mt. Sinai - which some biblical commentators believe was connected to the eruption of the volcano Santorini at Thera and subsequent tsunami that destroyed the Minoan civilisation - the basis of the myth of Atlantis (see the earlier post King David's Vision of the End-time?). God came from Teman, and the Holy One from Mount Paran. Selah. His splendor covered the heavens, and the earth was full of his praise. His brightness was like the light; rays flashed from his hand; and there he veiled his power. Before him went pestilence, and plague followed at his heels.He stood and measured the earth; he looked and shook the nations; then the eternal mountains were scattered; the everlasting hills sank low. His were the everlasting ways. I saw the tents of Cushan in affliction; the curtains of the land of Midian did tremble. Was your wrath against the rivers, O LORD? ...You trampled the sea with your horses, the surging of mighty waters. Then God said to Noah and to his sons with him, “Behold, I establish my covenant with you and your offspring after you, and with every living creature that is with you, the birds, the livestock, and every beast of the earth with you, as many as came out of the ark; it is for every beast of the earth. I establish my covenant with you, that never again shall all flesh be cut off by the waters of the flood, and never again shall there be a flood to destroy the earth.”( Gen 9:8-11). However the destruction that is estimated to be wrought by the Cumbre Vieja mega-tsunami will be confined to the coastal areas of Eastern America and Western Europe - which could not exactly be described as a world destroying flood - no matter how destructive such an event would be to these areas. 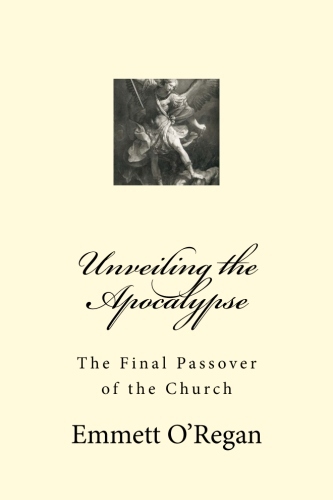 As I argue in my book Unveiling the Apocalypse, this event could indirectly lead to the battle of Armageddon foretold in the Book of Revelation, rather than immediately consuming the entire planet in a flood comparable to the tales of Noah. The loss of the cities on the Eastern seaboard of the USA would almost certainly plunge the entire nation into a state of crippling debt, bringing the country into financial turmoil. This in turn could theoretically lead to the dissolution of the union and the total economic collapse of the United States. And if the USA was no longer able to act in its current superpower status as the "world's policeman", this would leave the state of Israel completely open to the threat of invasion by the surrounding Arab nations - a prophesied end-time event that is found interspersed throughout Scripture, commonly known as the battle of Armageddon - a last world war that is foretold to consume humanity in a sea of fire. But on that day, the day that Gog shall come against the land of Israel, declares the Lord GOD, my wrath will be roused in my anger. For in my jealousy and in my blazing wrath I declare, On that day there shall be a great earthquake in the land of Israel. The fish of the sea and the birds of the heavens and the beasts of the field and all creeping things that creep on the ground, and all the people who are on the face of the earth, shall quake at my presence. And the mountains shall be thrown down, and the cliffs shall fall, and every wall shall tumble to the ground. I will summon a sword against Gog on all my mountains, declares the Lord GOD. Every man's sword will be against his brother. With pestilence and bloodshed I will enter into judgment with him, and I will rain upon him and his hordes and the many peoples who are with him torrential rains and hailstones, fire and sulfur. Also we can find an indication of a time period seperating this end-time flood from the battle of Armageddon, in the seven year gap between the inundation of Ireland and the end of the world described in the prophecies of St Patrick (see the earlier post on this subject here). So this scenario is thus quite different from a singular destruction of the earth by means of a global flood. “But concerning that day and hour no one knows, not even the angels of heaven, nor the Son, but the Father only. For as were the days of Noah, so will be the coming of the Son of Man. For as in those days before the flood they were eating and drinking, marrying and giving in marriage, until the day when Noah entered the ark, and they were unaware until the flood came and swept them all away, so will be the coming of the Son of Man." As I have stated many times before on this blog, I think there are a few prophesied events that are yet to happen before the collapse of Cumbre Vieja - such as the Second Pentecost, when the "gospel of the kingdom will be proclaimed throughout the whole world as a testimony to all nations, and then the end will come" (Matt 24:14). And as I shall be arguing in a future post, we can find some prophetic evidence to suggest that this event is connected with the martyrdom of at least one of the Two Witnesses described in Rev 11 (since we don't know if the ministries of the Two Witnesses are coterminous, or if they overlap, or are sepearated by a number of years). I believe (and indeed hope) that if the above Mayan prophecies have any relevance, then they are concerned with a general period of time - and that the date of 21st December, 2012 is purely symbolic of a wider time span that will see these events unfold. Or at the very least that it refers to the other possible date relating to the end of the Mayan Long Count calendar - the year 2087 (see the earlier post The Date of the End-Time - 2012 or 2087, which also shows how orthodox Christian theology teaches that even pagan prophecy can contain valid insights into future events). 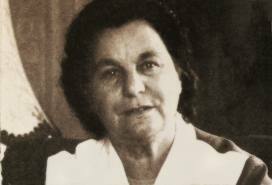 Another series of private revelations which conform to the order of end-time events I outline in my book Unveiling the Apocalypse, are those of Dutch seer Ida Peerdeman. Ida claimed to have received messages from the Virgin Mary under the title "Our Lady of All Nations" between the years 1945-1959. The devotion to Our Lady of All Nations was first officially approved by the Bishop of Haarlem, Henry Bomers in 1996, which was then reaffirmed by his successor Bishop Jozef Punt in 2002 (see here and here). Although this means that the apparitions of Our Lady of Nations are officially "Church Approved", we should take into consideration that it has still only met the first stage in being officially recognized by the Vatican, and that some sceptics within the Church still object to this initial bishopric level of approval (see Unity Publishing and Theotokos for example), and also that the messages are disliked by many Traditionalist Catholics for their apparent support for the fruits of the Second Vatican Council. That being said, the messages of Our Lady of All Nations contains some strong parallels to the theories I forward in the book concerning the mega-tsunami threat posed by a volcanic collapse in the Canary Islands. They appear to forewarn of a massive flood affecting Europe, which will then lead to the outbreak of a devastating world war. After that a big ‘4’ appears before me and around it a circle. Then that image vanishes and a Cross appears before me with four equal beams. A circle appears around that, too, and in the center of the Cross I read ‘I H S’. It is as if I would take this Cross up and I show it around me. Now I suddenly see crowds of people standing around us. They are looking at it, but many with aversion. and then I see those words written down. After‘only then’, I see many dots, as if something is to follow which must remain hidden. Then I see letters appear and I read,‘Righteousness’. After that I feel a terrible pain in my hand; it feels as heavy as lead. Then I hear the Lady say, “Just read on”,and I see in large letters before me, ‘Love of Neighbor’. I see dripping icicles appearing all over it. Then I hear that voice saying, “Read on!” But when I want to read, I cannot read anything, because of the flames playing around the letters. For a moment the flames clear away and I read ‘Justice’. After this I see her slowly disappear in the light. I feel a great emptiness around me, and it is as if everything on earth looks dreary. (See the complete prophecies of Our Lady of All Nations here). The above prophecy by Ida Peerdeman contains some elements with close similarities to those of Bl. Elizabeth Canori-Mora and Marie Julie Jahenny, which we have already delved into on some recent posts. Like that of Bl. Elizabeth, Ida's prophecy opens with a threat posed towards Rome, with a slight difference being that the former explicitly mentions that the threat is aimed towards the papacy, while the former is more vague in this respect. So again, it seems that the chastisement is in some way related to (or at the very least follows) the death of the future martyr-pope. So enigmatically, it seems that the death of the martyr-pope, the Second Pentecost, and the coming chastisement are all interconnected. The letters IHS that Ida sees in the midst of the Cross of course refers to the Christogram bearing the first three letters of Jesus' name in the Greek alphabet - iota, eta and sigma (the "H" shape in the Greek alphabet is actually the capitalisation of the letter eta - which is sounded as an "e"). After six hours it would reach Britain, where waves up to 40 ft high would hit southwest England at 500 miles per hour, travel a mile inland and obliterate almost everything in its path. Even Britain's more sheltered shores, in the North Sea and Irish Sea, will be struck by smaller but still significant swells, causing widespread flooding in major coastal cities. "We need better models to see what the precise effects on Britain will be." Dr. Day said. However, it is likely that London could suffer sever inundation as the Thames Barrier's ability to cope with such a dramatic rise in water levels exceeds its design specifications. "The Thames estuary is already subject to major tidal surges," says Dr. Day, "and the Mega Tsunami could raise water levels by as much as 20 feet, with the surge travelling up the river at some 200 miles per hour." Devastation along both banks of the Thames would be huge, with many parts of the City and areas along both the north and south banks of the river as far as Putney Bridge and beyond experiencing severe damage. The effects on the London underground are hard to imagine, but the entire network would become flooded and the consequent loss of life would be immense." Indeed, parts of London would be uninhabitable for perhaps months and the cost of repairing and rebuilding the damage would be astronomical. Imagine, if you will, what effects such a massive inundation would have on some of our major public buildings near the Thames; The Houses of Parliament, Westminster Abbey, Canary Wharf, Buckingham Palace, The Tower of London, and the South Bank are only a few of the many London landmarks that would be severely damaged, as indeed would the entire City of London. (See the full article here). 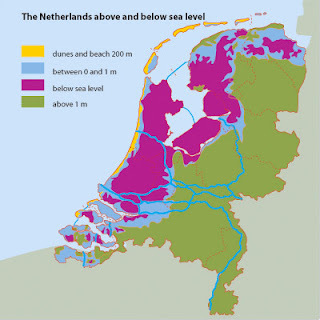 It the Cumbre Vieja mega-tsunami could cause sea surges which would even affect London, then it would have a far worse effect on the Netherlands (the homeland of Ida Peerdeman) - a large portion of which lies below sea level. Indeed, many other parts of Western Europe (such as Denmark and parts of France and Germany) have land areas below or close to sea level, making these locations extremely susceptible to large tsunami events. After this the Lady points and I see a soldiers’cemetery with countless rows of white crosses. I see them fall over, one after the other––all falling backwards. Once again the Lady points and I see new white crosses appearing. As far as my eyes can reach, they are rising out of the ground. "The earth will be shaken to its foundations. The sea will rise, its roaring waves will spread over the continent... "The Earth will become like a vast cemetery. The bodies of the wicked and the just will cover the ground." So yet again we have a prophecy of a massive flood followed by a devastating war, which closely parallels the hypothesis I present in the book - i.e. that the battle of Armageddon follows the political turmoil left in the wake of the Cumbre Vieja mega-tsunami. As we have already discussed in the previous post Bl. Elizabeth Canori-Mora on the Martyr-Pope, the references to thunder and lightning in this context recalls the theophanic phenomena which is foretold to accompany the Second Coming of Christ. The many similarities between these two prophecies suggest that they are both describing the same event. Yet while the prophecy of Bl. Elizabeth does not openly mention that a flood is involved in the collapse of buildings in her vision, the prophecy of Marie Julie explicitly states that "The sea will rise, its roaring waves will spread over the continent...", and that this will take place after the "earth will be shaken to its foundations" - which clearly alludes to the Eschatological Earthquake, which as we have argued by examining many other prophecies, appears to be the catalyst for the "great mountain, burning with fire" being thrown into the sea, as described in Rev 8:8. 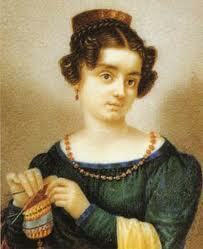 These prophecies of Marie Julie Jahenny and Bl. Elizabeth also end in a similar fashion. Marie Julie foresees that "The Earth will become like a vast cemetery. The bodies of the wicked and the just will cover the ground". While Bl. Elizabeth states that "Countless people will be killed. [I saw that God was] extremely angry with those who persecute Him. His omnipotent hands were holding bolts of lightening, His face was resplendent with indignation and His gaze alone was enough to incinerate the whole world”. This in turn recalls the prophecy of Our Lady of Akita: "It will be a punishment greater than the deluge, such as one will never have seen before. Fire will fall from the sky and will wipe out a great part of humanity, the good as well as the bad, sparing neither priests nor faithful." (see the earlier post Our Lady of Akita and the Japanese Tsunami). So yet again we have several private revelations describing a sequence of events which includes the signs of theophany followed by a chastisement (in many cases specifically said to be a massive flood), which in turn leads to "fire falling from the sky". These various prophecies all fit into the scenario which I present in the book - in which I suggest that the devastation wrought by the mega-tsunami event generated by the collapse of Cumbre Vieja will cause the economic and political collapse of the USA, which will bring about wider political turmoil, resulting in the rise of the Antichrist and ultimately in the battle of Armageddon itself. "Behold, I am sending you out as sheep in the midst of wolves, so be wise as serpents and innocent as doves. Beware of men, for they will deliver you over to courts and flog you in their synagogues, and you will be dragged before governors and kings for my sake, to bear witness before them and the Gentiles. When they deliver you over, do not be anxious how you are to speak or what you are to say, for what you are to say will be given to you in that hour. For it is not you who speak, but the Spirit of your Father speaking through you. Brother will deliver brother over to death, and the father his child, and children will rise against parents and have them put to death, and you will be hated by all for my name's sake. But the one who endures to the end will be saved." (Matt 10:16-22). For those seeking a more in-depth treatment of the life of this inspirational woman, there is an out of copyright book on the life of Bl. Elizabeth Canori Mora available free online here. In addition to the various prophecies related to a future mega-tsunami event we have already discussed, many contemporary seers also claim to have foreseen this potential disaster. However the fact that some of these claims have been made after the possibility of the collapse of Cumbre Vieja generating a mega-tsunami was discovered by S. Ward and S. Day, and promulgated on various TV documentaries, throws some doubt on their authenticity. It is easy to formulate a "prophecy" to conform to the expectations of current scientific hypotheses. The various prophecies of this event made before the possibility of a mega-tsunami caused by a large scale volcanic collapse was discovered in 1999 and publicised by the BBC Horizon documentary "Mega-tsunami: Waves of Destruction" in 2000, are therefore considerably more impressive. Amongst the various prophecies of this event made after the story broke on the mainstream media during the initial broadcast of the mega-tsunami documentary, one private revelation in particular appears to contain a fair amount of credibility - those of Ned Dougherty, an Irish-American businessman who had a near-death experience (NDE) in 1984. Before his NDE, Dougherty had been a wealthy nightclub owner and was leading a hedonistic lifestyle typical of someone accustomed to such trappings. However years of alcohol and drug abuse finally caught up with him when he collapsed outside his nightclub. After being taken away in the ambulance, Ned lost his vital signs, and claims to have began a NDE where he saw his life in review, before being led to the presence of a Lady of Light. Here, the Lady revealed to him visions concerning his own personal future, and also visions of cataclysmic global events that were yet to unfold. 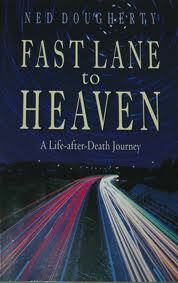 After his NDE and encounter with the Lady of Light, Ned underwent a radical life transformation, giving up his nightclub business and party lifestyle, and embraced his hitherto neglected Catholic religion. He embarked upon charitable and missionary work, and today he hosts End Times Daily - a Catholic news site with a focus on eschatology, where he also publishes interior locutions which he states have been given to him on a monthly basis since 2005. This vision closely parallels the hypothesis I forward in my book, which connects the eruption of Cumbre Vieja to the Eschatological Earthquake described in various places throughout the Bible, which is associated with the Second Coming of Christ. In one series of visions he saw massive waves striking from Florida to Long Island and believes it may be related to something we have discussed as the Gorringe fault in the eastern Atlantic near the Azores-- a mysterious seismological hotbed under the ocean where land heaves up and last caused a major tidal wave in 1755 (a surge that swept the coastline from Spain and Portugal to Morocco and up to England). It's located at 36.5 north latitude/11west longitude, and periodically causes quakes of up to magnitude-8.7. Ned is concerned that it could also cause a wave or backwash to North America. He believes this because in his vision it seemed like there was enough warning for people to evacuate -- "a time to get to safety." Ironically, he saw one such safe spot at a shrine called Our Lady of the Island in Eastport, Long Island, which he says is several hundred feet above sea level and located with precisely the view of the ocean he experienced in his vision. (Michael H. Brown Spirit Daily - see the full article here). It was only later that he learned of the threat posed by Cumbre Vieja, and travelled to La Palma in the Canary Islands to investigate the area for himself. He is now convinced that the events he claims to have witnessed during his NDE are directly related to the threat posed by the Canary Islands (see here). He also kindly linked to my articles Mega-tsunami - which shows how this event appears to be the "huge mountain, burning with fire" being thrown into the sea, as described in the Book of Revelation (Rev 8:8), and also to Our Lady of Light and the Apocalyptic Nativity, about the significance of the apparitions of Our Lady of Zeitoun in relation to the modern legalisation of abortion. Ned goes into some detail about the appearances of Our Lady in Egypt in his book, as well as some good material on the apparitions at Turzovka in 1958 - which also appear to predict massive tidal waves generated by a volcanic collapse. See also the earlier post The Casting Down of Mountains, which acts as a hub-page for the various passages in Scripture which I believe may foretell this future event. I've finally got round to making my book availble in e-book format, which is a lot cheaper way to purchase (given that there is no physical printing, binding etc.). It sells for around £5.99 - which is just under $10 - about half the price you would pay for a hard-copy on Amazon (and minus the delivery costs also). You can find a link to the e-book at the top right hand corner of this page. Personally I prefer hard copies of books - especially for quick referencing, but also because there's just something about the feel and weight of them. I guess I'm something of a bibliophile. But as well as being more affordable, e-books allow for instant access to a book. I find I end up buying them sometimes myself if I'm really looking forward to reading a certain book, or if I need quick access to research material.